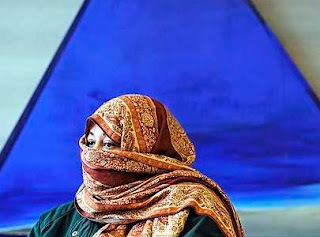 Roohi Tabassum, 44, shown in her lawyer's office April 6, 2009, says she will be killed by her husband if she is deported to Pakistan, booked for this month. Roohi Tabassum had nothing when she arrived in Canada eight years ago as a refugee from Pakistan. But since then, Tabassum, 44, has built a life in this country. She cuts hair at a salon. She bought a house in Mississauga. She calls Canada her home. But at the end of the month, the life Tabassum struggled to build for so long is in danger of ending. An unsuccessful refugee claimant, she faces a deportation order to Pakistan that could, she says, be a death sentence. Tabassum says her husband, Faisal Javed, currently living in Dubai, has sent her written threats saying she has dishonoured him by working at a salon where she touches the hair of men and women. Tabassum also says her husband suspects she has a boyfriend after a friend's husband answered her phone one night when her husband called from Dubai. "If I go back I will be killed and because of me, some of my relatives will be in trouble too," Tabassum said through tears in an interview.